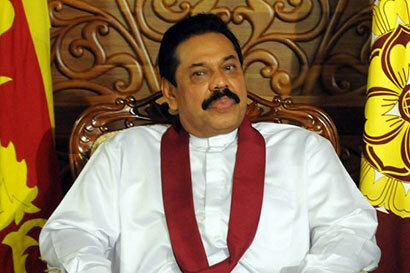 The Christians of Sri Lanka are today free to celebrate with joy the birth of the founder of their faith in keeping with the traditions of the past, President Mahinda Rajapaksa said in a Christmas message. The message states: “The birth of the infant Jesus, the Son of God made man, in a stable in Bethlehem, and lying in a manger in the midst of shepherds and their flock, sends the important messages of simplicity in life, kindness to all, and care for nature and all beings that share this world with us. This is the beginning of the Christian teaching of universal love and peace among all people that has touched the minds of millions through history, and remains of great value in the world today. The ringing of church bells at this festival sends out the joyous message of love and peace on earth to all those of goodwill, as Christians exchange and share the greetings of Christmas.